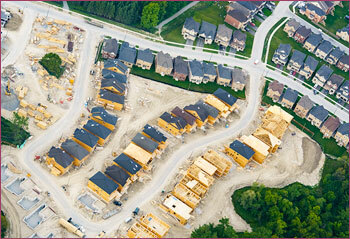 Supporting decision-makers with strategic solutions to managing growth and building better communities. Since 1983, Hemson Consulting has provided expert advice in the areas of planning policy, municipal finance, demographic and economic forecasting, land needs assessment, real estate advisory and transportation impact analysis. 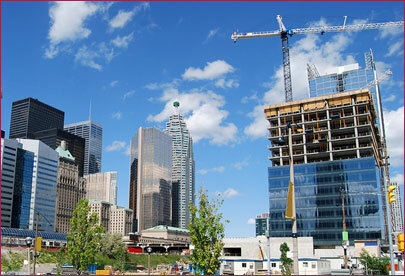 Located in Toronto, the firm’s consulting team includes land economists, finance and management professionals, urban and regional planners and real estate specialists. Hemson has successfully completed high-profile and complex projects for large urban and rural municipalities throughout British Columbia, Alberta, Saskatchewan, Ontario, and the Maritimes as well as numerous projects for the Province of Ontario. The firm’s reputation is founded on its commitment to providing balanced, objective and thoroughly researched advice. Hemson develops strategies for the future. The firm has undertaken numerous assignments addressing issues of urban structure, growth management, planning policy implementation and the effects of economic and social trends. The diverse blend of consulting resources in our firm enables us to take a comprehensive approach to a full range of planning and long-range strategy issues. Hemson’s municipal practice is extensive and is anchored by professionals who have considerable experience in both the municipal environment and the private sector. Our approach to each assignment is tailored to meet the specific needs of our clients in areas such as full cost recovery fees and charges, rate setting, development charges, fiscal impact analysis, and community and long-range financial planning. Hemson assists private and public organizations navigate today’s challenges and define tomorrow’s opportunities with sound advice and proven strategies. We provide a broad range of policy and strategy advisory services to help maximize municipal and private sector revenues. Hemson prepared the following reports for the Province which form the basis for Schedule 3 of the Growth Plan for the Greater Golden Horseshoe. 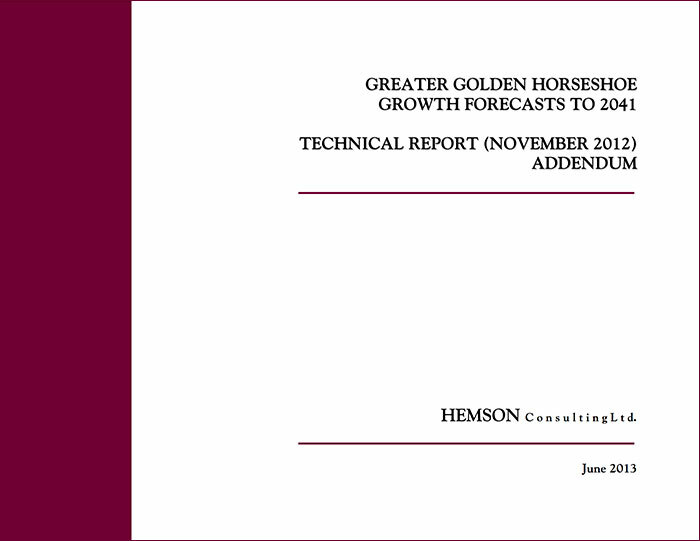 Greater Golden Horseshoe Growth Forecasts to 2041, Technical Report Addendum, June 2013. This addendum should be read in conjunction with the Greater Golden Horseshoe Growth Forecasts to 2041, Technical Report, November 2012, below. 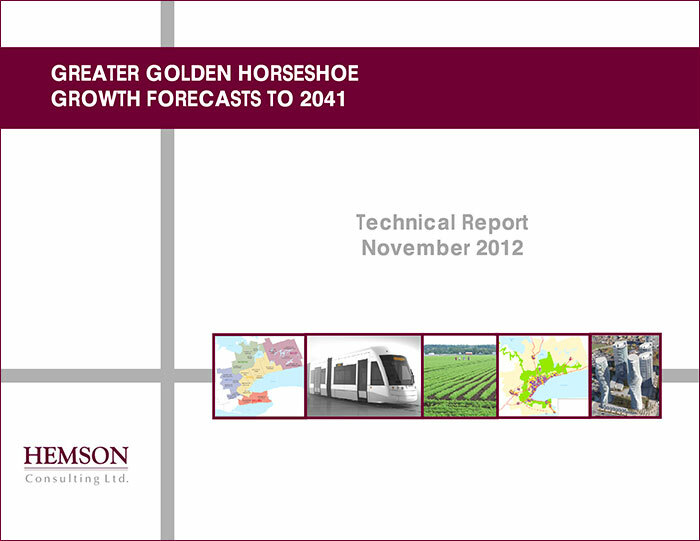 Greater Golden Horseshoe Growth Forecasts to 2041, November 2012. This technical report was prepared for the Ontario Ministry of Infrastructure as background to the review of Population and Employment Forecasts in the Growth Plan for the Greater Golden Horseshoe. 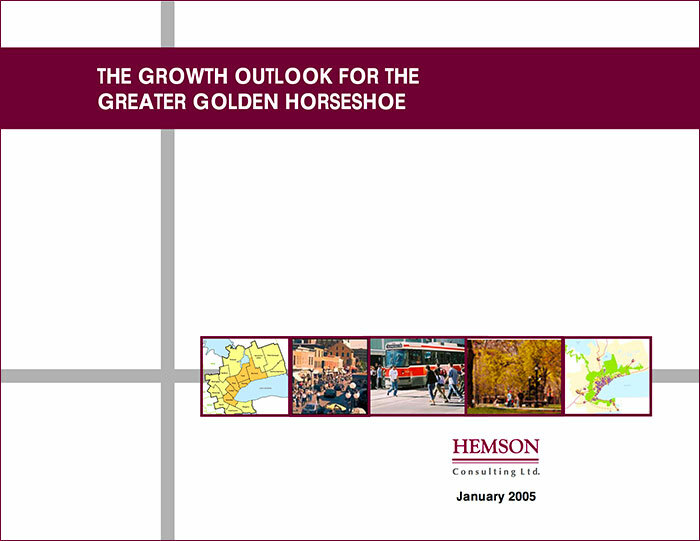 The Growth Outlook for the Greater Golden Horseshoe, January 2005. This technical report presents growth forecasts prepared in 2005 as background to the Growth Plan for the Greater Golden Horseshoe. 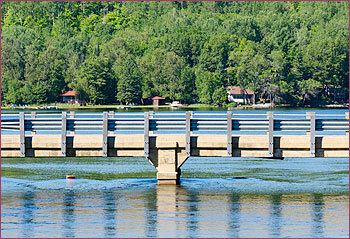 2019 Stormwater Management Area-Specific Development Charge Background Study. 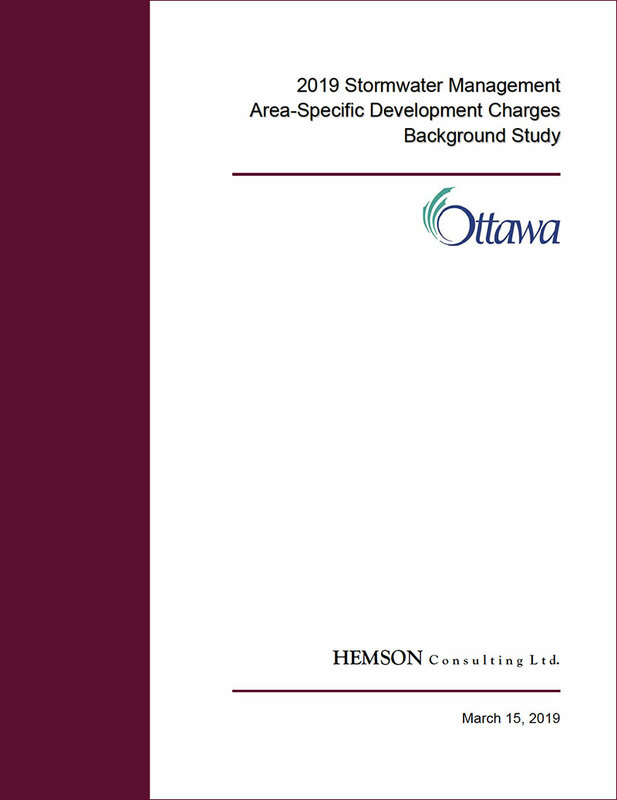 2019 City-Wide Development Charges Background Study.